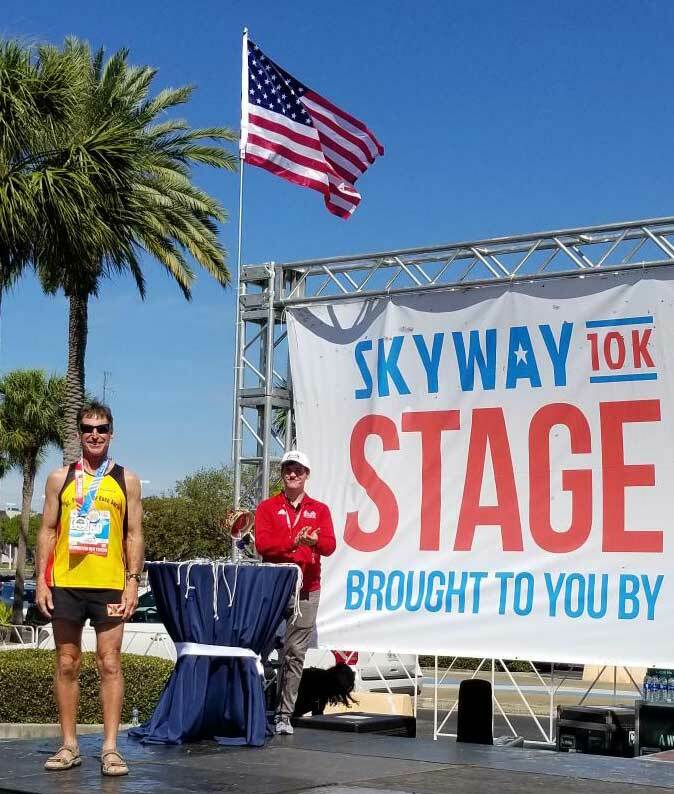 The second annual Skyway 10K took place March 3 under sunny skies, with no wind and a pleasant temperature of 65 degrees for the 6,679 participants who somehow managed to snag entries for the event. It sold out online in a mere 18 minutes. Long-time runner and Galati yacht sales employee Mickey Hooke managed to get in and, he says, he entered with one goal in mind: To better his time from last year’s inaugural race. 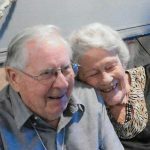 To accomplish his goal, Hooke embarked on a 90-day training regimen that included runs over the Ringland and Green bridges along with trips to the gym five days a week. Hooke signed up in the first wave to have a clear bridge course in front of him. Although he wasn’t feeling on top of his game, Hooke said he pushed through and reached the top of the bridge in 25:37 and crossed the finish line in 42:57 — good for 29th place overall and second in the men age 55-64, a group of 501 runners. Hooke achieved his goal, lowering his time from the 2018 race by 1:38 and betterin his hill climb of 7:44 in 2018 to 7:04 in 2019. Hooke also said the sunrise, National anthem, the howitzer starting gun and, of course, the Sunshine Skyway contributed to the incredible energy for the event, which raised $640,000 for the Armed Forces Families Foundation. 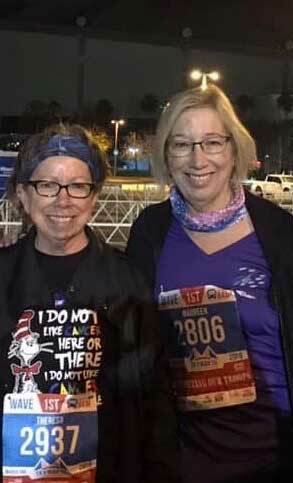 Also in the run were my sisters, Mo Cassidy, who made it look like a walk in the park — because she walked — and sister Theresa Cassidy Collins, who ran the bridge for the second time. 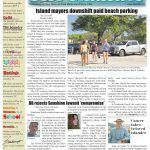 Action March 14 finalized seedings for the Center of Anna Maria Island adult flag football playoffs, which begin March 20 with the bottom four seeds playing for a chance to upset the No. 1 or No. 2 seed. Progressive Cabinetry wrapped up the top seed with a 45-6 thrashing of No. 3 seed Gulfview Windows. The second game saw Lancaster Design hold onto the No. 2 seed despite a 38-27 loss to Hashmark Sports, which sewed up the No. 5 seed. The last game of the night saw Ugly Grouper earn the No. 4 spot thanks to a 26-12 victory over No. 6 Beach House Realty. 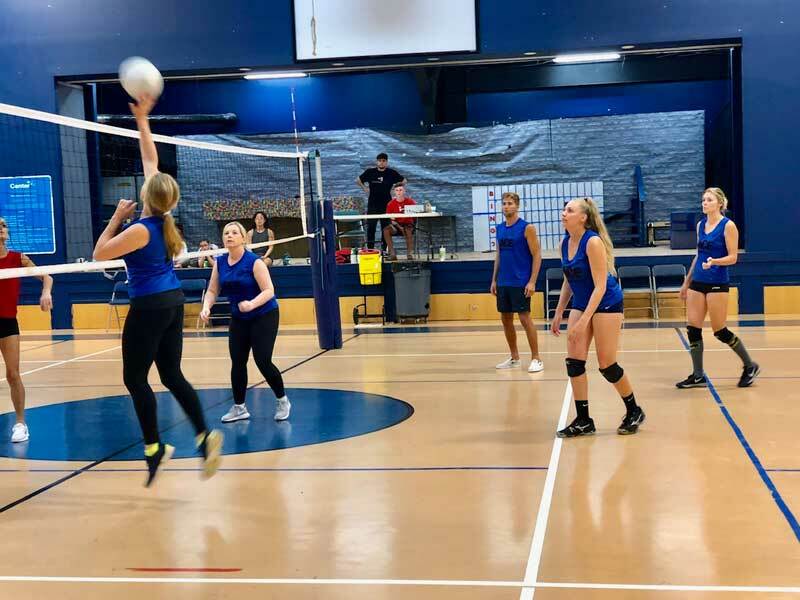 Ugly Grouper will take on Hashmark Sports at 6:30 p.m. Wednesday, March 20, followed by a 7:30 p.m. start for Gulfview Windows versus Beach House. Golf action at the Key Royale Club in Holmes Beach last week teed off with the men playing a nine-hole modified-Stableford aystem match March 11. Joe Tynan and Buddy Foy finished at plus-6 to share clubhouse bragging rights. Mike Gille was a point back in second with a plus-5. Foy also was part of the winning team that combined on a score of plus-11 and included Bill MacMillan, Gary Risner and Bill Shuman. The women took the course March 12 for a nine-hole, individual-low-net match in four flights. Phyllis Roe grabbed first-place honors in Flight A with a 1-under-par 31, while Pam Lowry and Marcia Helgeson finished in second and third respectively. They both finished at 1-over-par 33 with Lowry taking second place after a card-off broke the tie. Sue Christensen took first place in Flight B with a 2-over-par 34. Barb Rincky fired a 5-under-par 27 to win Flight C by three strokes over second-place finisher Annette Hall, who carded a 2-under-par 30. Sue Wheeler was alone in second place after her 1-under-par 31. Terry Westby took first place in Flight D with an even-par 32, three strokes ahead of Penny Auch, Sally York and Marty Clark. York, Auch, Helgeson, Christensen, Ann Hitchen and Margrit Layh all had chipins to punctuate their rounds. The men were back on the course March 14 for a nine-hole scramble. The team of Gary Alford, Chet Hutton, Gary Risner and Terry Tarras matched the 5-under-par 27 carded by the team of Ron Buck, Brian Comer, Tom McDonald and Bob Soos for a two-way tie for first place. Buck aced the 162-yard fourth hole with his trusty driver for the shot of the week. Buck treated in the clubhouse, as is the tradition for the player with a hole-in-one. 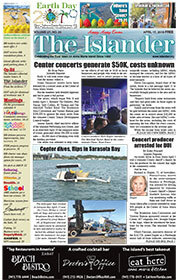 Four teams advanced to the knockout stage during March 13 horseshoe action at the Anna Maria City Hall horseshoe pits. Dell Reese and Tom Skoloda advanced from pool play, but Skoloda had to make an early exit and Reese took care of business with a 21-12 victory over Bob Mason and Tom Farrington. The second semifinal saw John Crawford and Bob Brown advance with a 23-12 victory over Steve Doyle and Neil Hennessey. Reese stayed hot and steamrolled his way to a 22-1 victory over Crawford and Brown to earn the day’s bragging rights. The March 16 games saw Bob Palmer and Rod Bussey up against Myles Macleod and Brown in the finals. Palmer and Bussey cruised, winning 21-1. 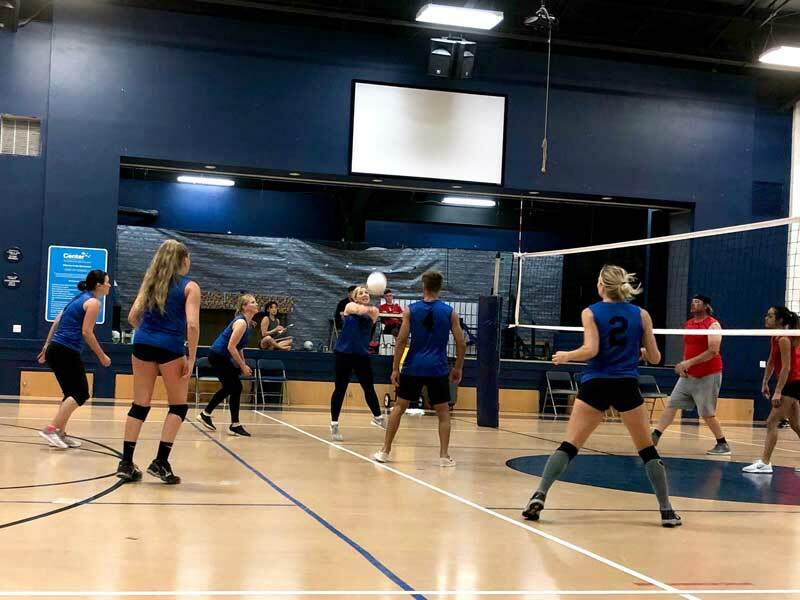 With one night of matches left to play in the adult volleyball league at the Center of Anna Maria, it’s anyone’s guess how the seeding will fall for the playoffs. Planet Stone and Solid Rock Construction are both 7-3 the top seed is likely for one of those teams. However, with two matches remaining, Ugly Grouper, which holds down third place on a 5-5 record, is not eliminated. Freckled Fin follows with a 4-6 record and ACE Hardware completes the standings at 2-8 record. Action March 12 saw Freckled Fin open with 25-8, 22-25, 15-10 over ACE Hardware. ACE dropped its second match of the night by 25-19, 25-20 to Solid Rock Construction. Solid Rock continued its strong play, scoring 25-15, 25-12 over Ugly Grouper. The last match of the evening saw Planet Stone roll to a 25-6, 25-17 victory over Ugly Grouper. Registration is underway two youth programs at the center. Registration is ongoing through March 25 for spring soccer for kids ages 3-17. Cost is $10 for members and $126 for non-members. Player evaluations will start at 6 p.m. March 26 for the 8-10 age division, while the 11-13 and 14-17 divisions will have evaluations at 7:30 p.m. There are no evaluations for the 3-5 or 6-7 divisions. Games will be played Tuesday nights starting April 2. The center also is offering a T-ball league for kids 3-6 years of age. Cost is $10 for members and $96 for non-members and the last day to register is April 6.